Word has been received of the death of Melanie Ticen Bradley (2009 Grace College graduate). Melanie Bradley, age 24, of Grand Rapids, MI formerly of Wolcott,IN passed away on Friday December 17, 2010 at St. Mary’s Hospital Grand Rapids,MI. 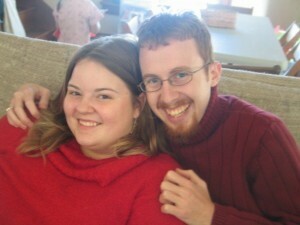 Melanie’s husband, Eric (2007 Grace College graduate), found her passed out and she was rushed to the hospital. She had been in a car accident last month and had surgery on her foot as a result. According to a report from the Morgan Library at Grace College & Seminary, where Eric Bradley formerly worked, she was ordered to stay off her feet for three months. Evidently a blood clot formed and was the cause of death. Prayers are encouraged for Eric, who is now left with an 11-month old son. He has been employed at the library of Cornerstone University, Grand Rapids, Michigan, and has continued to represent Grace College and Seminary’s Morgan Library on the Brethren Digital Archives committee.